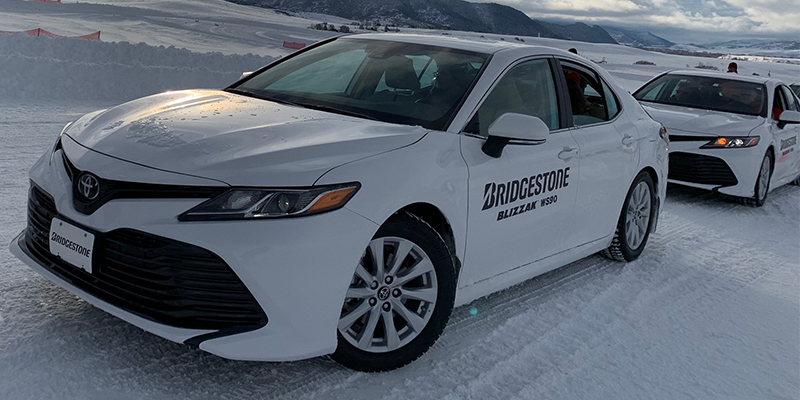 Building upon a strong legacy as a pioneer of the studless winter tire, Bridgestone has engineered a new addition to its Blizzak line of tires. The all-new Blizzak WS90, designed for sedans and minivans, will be available in May 2019 and will replace the WS80. Introduced to the media at a launch event Jan. 19 at the Bridgestone Winter Driving School in Steamboat Springs, Colorado, the new WS90 features a number of improvements over the previous design. All-new tread compounds – It’s a thin layer of water on top of ice that makes it so difficult for the contact patch of a tire to grip. What the company refers to as “Multi-Cell Technology,” Bridgestone engineers have developed the patented compound with millions of microscopic pores to attract that water and wick it away from the surface, allowing the tires to better grip in challenging conditions. The result is a consistent 14% improvement in stopping distances on ice compared to other leading competitors. Improved flexibility – All tire rubber will begin to stiffen as the weather gets colder, which is why the latest generations of winter tires are specially designed to remain flexible even at extremely low temperatures. This flexibility, together with a tread design optimized for grip in winter driving conditions, allows them to conform to the road surface and maintain their traction. The new Blizzak WS90 is 3-Peak Mountain Snowflake rated and features “Nanopro-Tech,” which helps ensure flexibility in cold weather conditions, optimizing performance with a more effective distribution of silica to increase grip and flexibility. Enhanced tread design – Circumferential grooves help channel water and slush out of the footprint area to improve resistance to hydroplaning. Larger shoulder blocks (including an additional 15% of block edges compared to the WS80) offer greater stability and control when cornering. A variety of side designs are engineered to work together to enhance winter and wet performance. Interlocking sipes and 3-D sipes provide more edges for enhanced snow and wet performance and handling. Additional zigzag sipes improve snow and ice traction by increasing the number of biting edges. And the center “multi-Z” pattern improves drainage while adding biting edges for improved grip. Increased value – Based on dealer feedback, the Blizzak WS90 has also been engineered to be more durable. With a 30% more block stiffness in its tread pattern, the company says drivers can expect to get an extra winter season out of the new design when compared to its predecessor, the WS80. This is assuming that the snow season runs from mid-October to mid-April, and that an average user would drive approximately 1,200 miles per month. The additional stiffness also helps with control and responsiveness, further minimizing slip in the tire’s larger contact footprint. Many of the innovations of the new WS90 tire originated from customers and dealers providing feedback on the existing WS80. 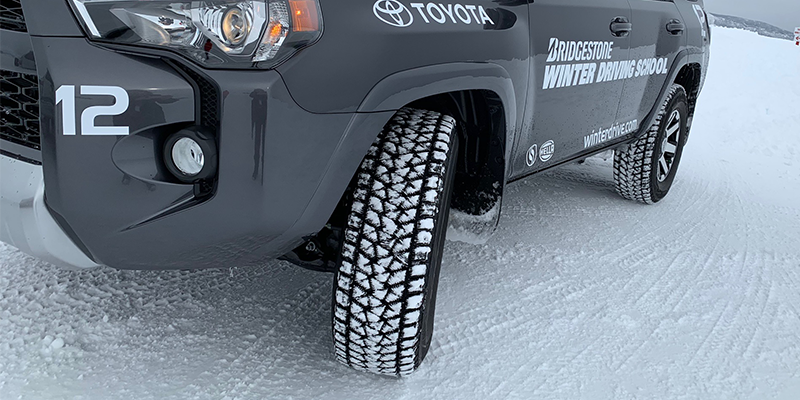 The Bridgestone Blizzak WS90 tire will be available in 51 sizes and covers 86% of passenger sedans and minivans on the road today. The new tire will be available to authorized Bridgestone retailers in May 2019.